A Houston couple is still shaken after saying they heard the voice of a strange man cursing and making lewd comments in the bedroom of their 2-year-old daughter. When Marc Gilbert and his wife Lauren entered the room, the voice cursed them as well. 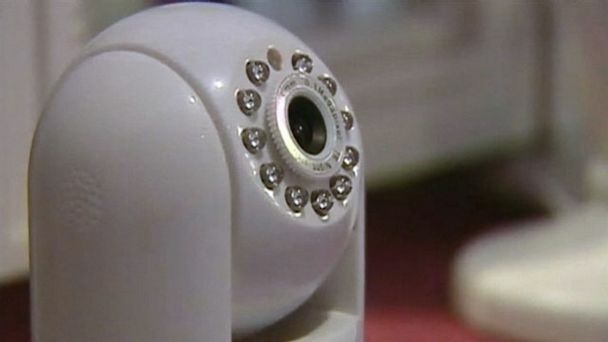 The eerie voice — which had a British or European accent — was coming from the family’s baby monitor that was also equipped with a camera. A hacker apparently had taken over the monitor. The incident occurred on Aug. 10 as Marc Gilbert was doing the dishes after his birthday dinner and he heard strange noises coming from his daughter Allyson’s room while she was sleeping, Gilbert said. “Right away I knew something was wrong,” he told ABC News. The hacker then began shouting expletives at her parents and calling Gilbert a stupid moron and his wife a b****. Their son Ethan, 3, did not hear anything either and only woke up after he heard his parents that night. Gilbert wonders whether there were similar previous incidents that he wasn’t aware of. Gilbert did not report the incident to the police, but said he is still shaken up and wary about publicizing the story for fear of endangering his children. He was also reluctant to provide photographs of his children. He did call his internet service provider, who told him to check his passwords on the device. Gilbert said he is leaving the device permanently unplugged. But he wants other parents to be aware of the potential dangers of the monitors being hacked.